If you’re like most Americans, you probably have a vague idea about what insulation is and what it is used for. You probably know that it is generally pink or yellow, and you’re probably also aware that fiberglass is one of the most reliable kinds of insulation. However, most of us probably don’t know much about insulation beyond those vague details. In this blog, we’re going to take the time to bring you up to speed on a few of the different kinds of insulation that are available in today’s market. Insulation Pros of Colorado is proud to provide residential and commercial insulation and soundproof foam installation services in Denver and the entire Front Range area. If you’re looking for Denver insulation contractors, contact Insulation Pros of Colorado today for a free inspection and estimate! We’re a nationally certified insulation installation company, and we’d love to help you with your next insulation project! Many businesses install soundproof insulation for the acoustic benefits it provides. Obviously, music studios and buildings with recording areas have to be absolutely free of noise from the outside environment, but other businesses have found soundproof insulation to be a valuable resource as well. Meeting with an important client or leading a big meeting? Does your restaurant have a private dining area for large or high-priority clients? Ambient noise from the outside environment can be a huge distraction for many people, and soundproof insulation provides executives, employees, and customers with a distraction-free environment. Soundproof insulation comes in several different materials, including mineral wool, fiberglass, and cotton. If you’re thinking about soundproofing your business, contact one of our insulation contractors today! Attic insulation is probably the most common and well-known form of insulation. Living in Colorado, none of us are strangers to the cold and bitter winters that inevitably roll around each year. A cold office quickly becomes conducive to complaints and discomfort, and a cold home is the last thing you want to walk into after a long day of work. Improperly insulated attics lead to drafts throughout the building, making the environment quite uncomfortable when it’s both cold and windy outside. Turning up the heat in your home or business is always an option, but doing so will significantly increase your energy costs. Moreover, if your attic is not already insulated properly, the heat you’re pumping into the building will quickly leak through the ceiling. Insulating the attic of your home or business is a fantastic way to keep the warm air contained in the building. If you’re looking for a way to reduce your home or business’ energy bill, investing in attic insulation is one of the best places to begin. Not only will you be more comfortable throughout the day, but you will find that the savings on your energy bill quickly pay for the installation service. If you’re thinking about insulating the attic of your home or business, Insulation Pros of Colorado offers free inspections and estimates! 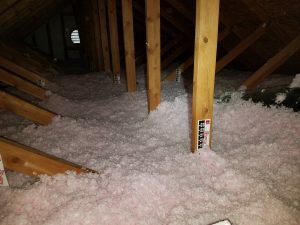 As we noted at the beginning of this post, most of us probably think of a fluffy pink substance when we hear the word “insulation,” and batt insulation is the proper name for that fluffy pink substance. Batt insulation is the most common form of insulation that you’ll find in homes, and it’s generally sold in the form of a roll or blanket (for this reason, it’s also often referred to as “blanket insulation”). 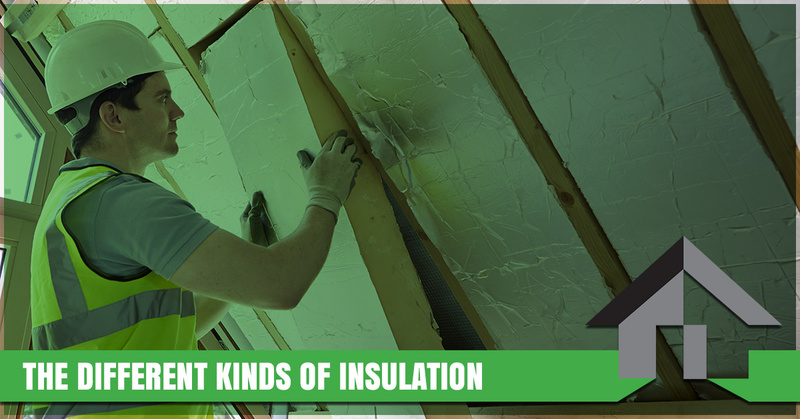 Batt insulation is incredibly versatile, and it can be cut and tailored to fit into nearly any space in an attic. Several studies have shown that the heat-preserving effects of batt insulation can decrease the energy requirements of a building by up to 50 percent! Reflective insulation is often used in commercial construction, and it’s easy to understand why. Reflective insulation is also referred to as “foil insulation,” and this is because, as you may have guessed, it’s made from aluminum foil. Large-scale projects using reflective insulation can be more expensive than they would be with other forms of insulation, but there are numerous benefits to using reflective insulation. Many other kinds of insulation such as wool and fiberglass will degrade and become compacted over time, but aluminum is sturdy and it will last for many years. Aluminum is also a fantastic way to cut down on energy bills during the summer and warmer months in Colorado, as reflective insulation is highly effective at preventing the sun from warming your building up throughout the day. One potential downside to using reflective insulation in Colorado is that it is not as efficient at retaining heat, and so it is typically best used in conjunction with another form of insulation – fiberglass being an optimal choice. Speaking to an insulation contractor is the best way to figure out the right insulation configuration for your business or home. If you’re looking for a residential or commercial insulation company in Denver and the surrounding areas, Insulation Pros of Colorado are your go-to insulation experts! Contact one of our insulation contractors today for a free estimate and inspection!